In the past 48 hours, Democrats have been working feverishly behind the scenes to figure out a way to get Rep. Charles Rangel, D-N.Y., to strike a deal with the House ethics committee in order to avoid a public trial on charges he violated ethics rules. Democrats would like Rangel to resolve this issue before Thursday, when the House Ethics panel will publicly detail the charges against him. Previous talks with the committee broke down because Rangel was concerned about the scope of the wrongdoing to which any deal would require he admit. 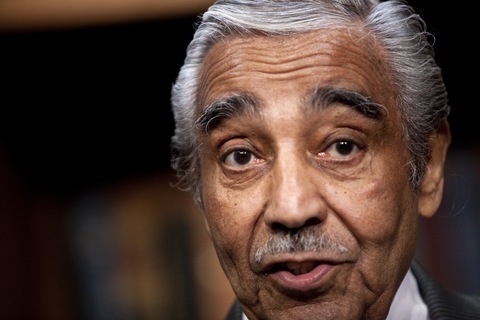 A House ethics panel announced last week that it had evidence that Rangel broke ethics rules. The allegations involve the use of rent-free apartments in New York City and allegations that he failed to report income and pay taxes from a rental property in the Dominican Republic. Democrats hope to avoid an ethics trial involving one of its veteran House members during the 2010 midterm elections. Rangel, 80, has represented Harlem in New York City for 40 years. California Democrat Zoe Loefgren, who chairs the Ethics committee, told the Associated Press that the talks were between Rangel and the non-partisan staff of the committee. The National Republican Campaign Committee, which is responsible for its party’s effort to retake the House in November, said the fact that Rangel was negotiating suggests he is guilty of violating ethics rules. “Once again, the Democratic leadership is looking for ways to minimize the political impact of yet another member’s corrupt behavior by cutting last-minute deals so they can sweep these very serious transgressions under the rug,” said Ken Spain, NRCC communications director. House Majority Leader Steny Hoyer told reporters Tuesday he wanted to put the ethics charges to rest. “I think everybody would like to have it go away in the sense that this is not a pleasant process,” Hoyer said.